In the past few years singer and songwriter Anna Aliena has often called her music ‘alien pop’ which is also the title of her third EP from 2013. Her 5th EP The Muse (Go!Diva Records, release date: October 30th, 2015) heralds a style break: On this record the artist from Berlin concentrates on emotional waltz time ballads. Although her songs no longer sound as shrill as former productions and even though she has left her pink wig from Swinging Berlin (2014) in the wardrobe, Anna Aliena stays true to herself. Her theatrical mezzosoprano voice recurs in all her recordings she has published since 2011. The songs on The Muse address the process of creating music. So the composer provides some honest insights into her inspiring encounters with the muses. For instance, there is “Sasha“ receiving the famous three words in Russian and a few moments of love. Anger, melancholy and the longing for new places (track 5: “I’m Gonna Fly Away“) alternate just as the languages of the lyrics. As a matter of fact, the muses come from three different countries. The vocals are interwoven with orchestral arrangements containing lots of strings and relatively little percussion. It’s a voice telling stories of love, yearning, pain and music itself. During a holiday in Croatia world citizen Anna Aliena discovered her love for the Croatian language. At the end of the journey she wrote a German song called “Deine Blauen Augen“ (“Your Blue Eyes“). This slow and sentimental chanson is available in two versions. Vocal coach Snezana Nena Brzakovic and fan Nina Čovic translated the original German lyrics into the Croatian version “Tvoje Plave Oči” which has already conquered many new listeners throughout former Yugoslavia. 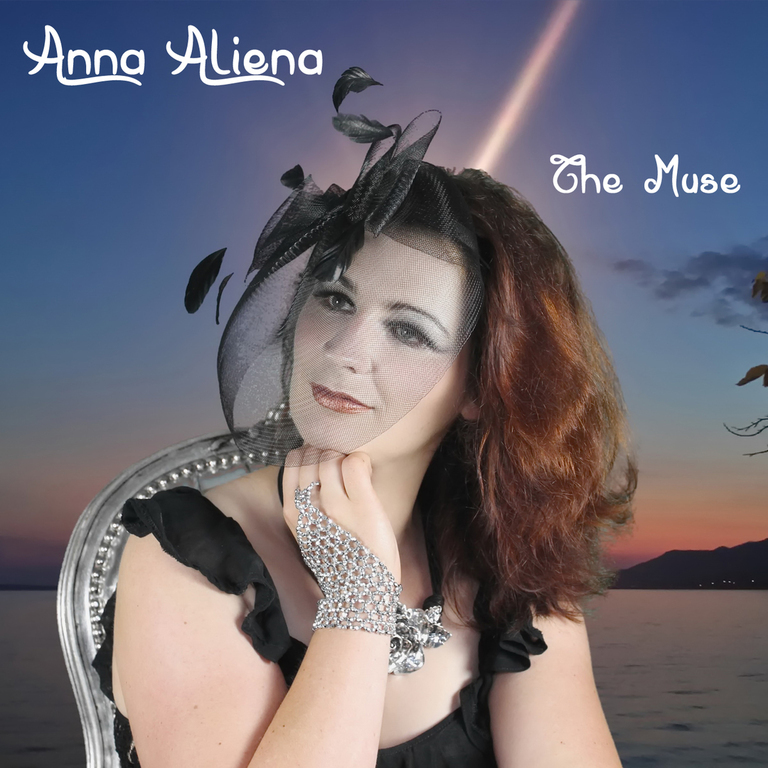 Suitable for this song, Anna Aliena chose a record cover on which she poses in the sunset at the sea. With dreamy eyes she pensively gazes into the distance. She does not know yet who will be the next muse appearing on the horizon. However, there is a beam of light from above to send her new inspiration.